Here is some help with knitting ideas that you can use. This will hopefully be beneficial for beginners and intermediate knitters. The trick with most of the above problems is to resolve them as quickly as you can before you have knitted too much or have to undo too much. It is very soul destroying to have to pull out all your knitting and start again, especially when you have been going for a while. A lot of people in this predicament simply give up for a while or all together. You can click on dropped stitches above to get an explanation on what to do if you drop a stitch. All you need for this one is a crochet hook. Because there are so many different yarns on the market, and so many beautiful ones, it is tempting to buy them because you like them, and then try and adapt them to your pattern with disastrous results. First, decide on the pattern you are going to knit. The buy the exact recommended yarns and needles stipulated by the pattern. This will give you and best results. If your store doesn’t have the exact make of yarn you are looking for, ask for assistance so you can get the closest possible type of yarn recommended by the pattern. 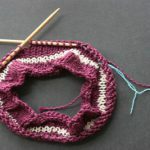 Knitting with the wrong yarn and needles will change the shape, look, and sizing of the garment you are trying to knit. 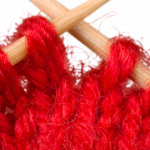 This is a common knitting problem and can be checked by knitting a gauge swatch. You can click gauge swatch to find out just how to do this. It is a little time-consuming, but you will quickly discover if you are knitting in the right tension, and whether you will need to knit a bigger or smaller sized pattern. 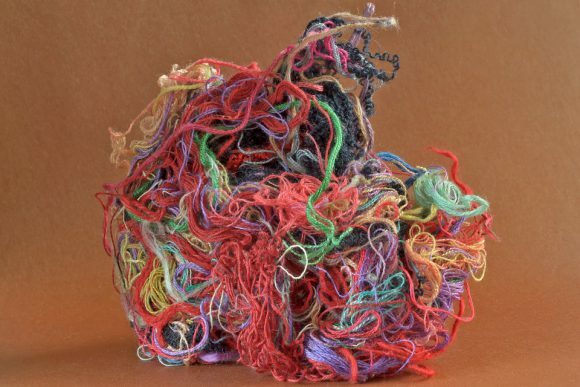 When you use a ball of yarn, try taking the yarn from the middle of the ball and you have less chance of the wool creating a big knot, which is a real pain to sort out once you have started knitting. The other option is to purchase a yarn winder like the one on the right. This is a useful tool for all knitters to have, as you can quickly and easily rewind up your knitting wool so that it doesn’t knot up while you are knitting. I always rewind my wool before I knit with it unless it is already on a cone. If you want to find out how to obtain one of these useful contraptions, simply click on the pic. This is quite common. Knitting a row uses quite a bit of yarn. It is always better to change the yarn at the beginning or the end of a row so that you can’t see the knot where the wool was joined. Even if the knot is on the wrong side, it is still noticeable from the front as a little bulge. If you are not sure if the wool that you have in your hand is enough to knit a row, take it along the needle with all your stitches spread three times. If it goes three times or more, it will usually be enough to knit one more row. This is also a very common mistake, especially when you start knitting. You can read more about how to rectify adding stitches here. Losing stitches, on the other hand, is usually because either one was dropped, or you mistakenly knitted two stitches together. The main reason you will find holes in your knitting is from taking the yarn over before you knit a stitch. If you see a hole that has formed earlier in the row, simply knit backward or unknit your work until you get to the hole so that you can rectify your mistake. You will need to undo rows if your hole is only discovered after a few rows. It is best to check your knitting after each row to avoid having to waste time undoing what you have knitted. These holes are used to create fancy lacy patterns, and you can get patterns that show you how to do this, but a random hole in the middle of your knitting does not look good on its own. 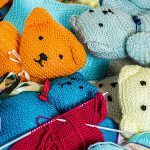 As you knit more and get more proficient with your knitting, you will find that you will make very few mistakes, can concentrate on making more complicated patterns and will need less help with knitting.